I've always been both fascinated and righteously indignant about grammatically incorrect advertising. I'm not a grammar fascist -- frankly, my grammar's just not good enough to qualify and I still have flashbacks to trying to learn how to diagram sentences in Mr. Grimes' sixth grade English class at Gilman School in Baltimore. But overt linguistic fouls annoy me. Maybe it stems from having two English majors as parents who always insisted on speaking and writing correctly. It's not like they slapped me with a ruler if I used "good" instead of "well," but if I delved into the realm of lousy grammar at home I generally heard about it. Now, I'm not as bad as my mother who would often call over a poor, unsuspecting waiter to complain about a typo or grammatical sin on the menu. It didn't matter if it was a fancy French restaurant or a truck stop. This usually had to do with a missing or extraneous accent mark, though even I had to agree when "Chicken Franchise" showed up on a menu in the Poconos when what they meant was "Chicken Francaise." I also remember my dad talking about grammatically incorrect advertising slogans like the old cigarette tagline "Winstons taste good, like a cigarette should." Of course it should have been "Winstons taste good, as a cigarette should." This got me thinking about current or recent advertising that plays fast and loose withe the rules of grammar. I'm sure you can think of others but here are a few along with how they should read. Milk: Got Milk? -- Do you have milk? Staples: We got that. -- We have that. What others can you think of? (and yes, I just ended that sentence with a preposition). I think Subway's slogan is correct, if they are trying to say "eat fresh food," rather than over-cooked, processed fast food. At least I hope they are correct, since I do enjoy eating at Subway, and would hate to be supporting poor grammar. Forbes has an interesting article about the "Think Different" campaign (http://www.forbes.com/sites/onmarketing/2011/12/14/the-real-story-behind-apples-think-different-campaign/). Apparently, at the time IBM had a campaign using the slogan "Think IBM." What Apple was saying, it seems, may have been more "Think [of something] different [from IBM]" than "Think in a different way." Either way, though, the Forbes article is somewhat fun to read. One of the worst offenders has to be Lockheed Martin: We never forget who we're working for. I even wrote to the company to explain why they should use WHOM . . . they definitely wouldn't be working for me. You're right that "whom" is correct. Bryan Garner, in the 3rd edition of "Garner's Modern American Usage," says that while incorrect, "who" is defensible in the above ("who we're working for") as a causualism and gives it a ranking of stage 4 on the volume's language-change index. My fingernails on the black board peeve is the reversal of objective and subjective pronouns. The person who would never say, "Me went to town," blurts "Me and him went to town." Aarrrggghhhh! My mom also expressed her displeasure at, "Winston tastes good like a cigarette should." Horror of horrors. She also hated 'ain't'. 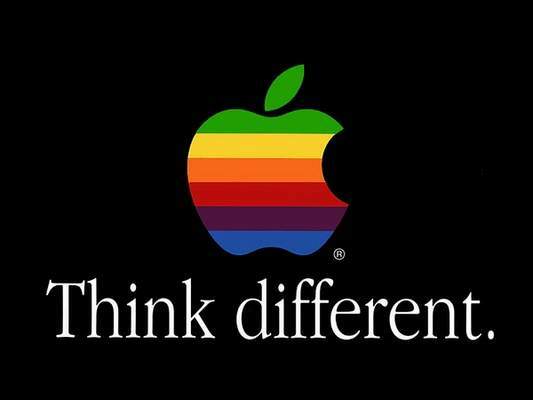 I forgive Apple for "Think Different" because that was part of their different thinking, using grammar differently. This isn't an advertisement, but one of my pet peeves is "could of" or "would of" instead of "could have" or "would have". I have seen this usage in emails from people who really should have known better. One of the worst is shop A&P. Maybe that's why they went of business ! I don't think you'd eat freshly unless you were eating in a rude or cheeky manner. I think they mean eat fresh food. Which begs the question, then why eat here? But that's another subject. 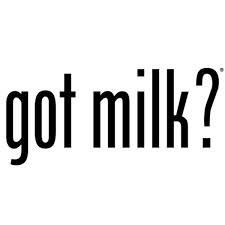 I have a friend, in our parish, who is the executive director of the Got Milk? campaign, so I guess I can't rag on that. But I am a grouchy grammarian, and what drives me insane is the capricious use of apostrophes. Your mother would understand. Ah, yes, misplaced apostrophes. Especially in the possessive form of "it". And I shudder along with Gillian B. on the use of "of" instead of "have", or even apostrophe "ve",as in "I could've." Granted, the usage is phonetic--"could've" sounds like "could of", but it's still wrong, wrong, wrong! My peeve is what seems to me to be incorrect use of the nominative case in sentences such as 'He told her and I to go away.' Or 'That is an insult to we the people.'. I understand that 'we the people' is something of a catch phrase in this country, but speaking as an Englishwoman, that grates on my ears. The one that grates on my sensibilities is the magazine named "Real Simple". There are many examples where writers clearly don't how to use adverbs, or they believe their readers actually prefer the grammatical errors. I should say that just because a slogan isn't grammatically correct doesn't make it ineffective (that may be a double or triple negative but whatever). "Got Milk?" is a great slogan, for instance, even it's lousy grammar. 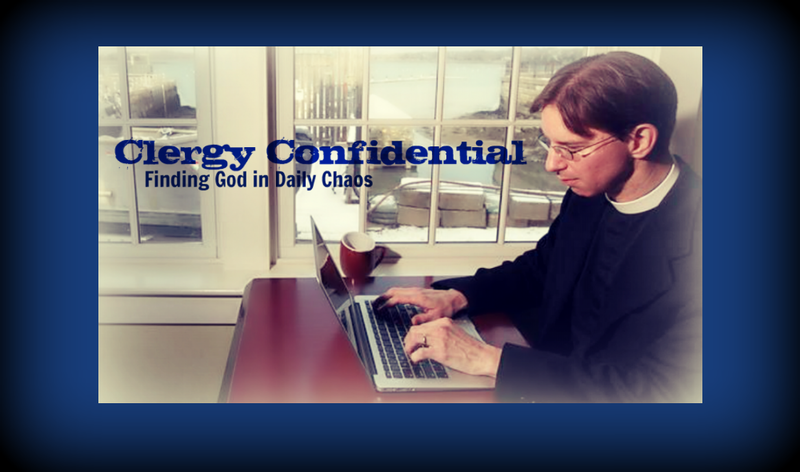 As for Lenten Madness -- that just sounds horrible. Fortunately when you're a member of the Supreme Executive Committee, the rules of grammar don't apply. A&P was merely an abbreviation for Atlantic and Pacific (formerly The Great Atlantic and Pacific Tea Company, I think) . . . Episcopalians who reduce almost everything to initials should have flocked to shop at A&P. It's marketing language people. There are no rules. Would that be "It's marketing language, you people who are complaining," or "It's marketing language people who may have an MBA, but don't care or know about grammar, who are dumbing down the entire country"? Reblogged this on The Owl Press'. I am surprised that I did not see my most disliked grammatical error mentioned. It is doing something "different than" I might do it. the ending of a sentence with a preposition is something that has long been put to rest.put up or shut up! I think most authorities would now agree it is acceptable...further I would also suggest that the positioning of a preposition may also sometimes (often quite substantially) change the meaning.
" I looked Eddy Cantor's nose up" has quite a different meaning from 'I looked up Eddy Cantor's nose!" As for apostrophes the modern sign writing rule seems to be , if in doubt put it in! Cheap Cars' sale! Quite what you do with a For Sale I do not know. here in the Southern Hemisphere Lent has already begun.......and I am avoiding !